Build Your Authority Online Today! Home > Start A Business > What Is SEO ? What is SEO? As an up and coming entrepreneur in this online market age, it is critical to understand Search Engine Optimization (SEO) to reach, attract and convert your niche market. For me as an SEO expert understanding this and creating the mindset for the internet is the key to online success. So “What is SEO” and why do you need to ensure online success? Basically, SEO enables search engines to locate websites, blogs and any other online presence that properly market themselves in a personalized and professional manner. Online presences are recognized through written content, images, videos, news or through academic search and industry-specific vertical searches. The information-age key to online success is SEO. Search engine optimization is the determing factor for realizing your dream while your business flourishes with a positive cash flow or settling for a less than fulfilling work life and struggling to pay your monthly bills. As a SEO expert, I realized that search engine optimization is not easy to understand and like speaking another language. For my SEO training classes and SEO coaching programs, I developed a story telling technique to teach and share my knowledge in a non-techie way with my students. SEO explained in this non-technical way makes it easy to follow, understand and implement. Enjoy my story below, making transparent “What is SEO?”. Watch What Is SEO on YouTube. Networking is a crucial part of business success. Imagine two women entrepreneurs, Tina and Lisa, each attending the same networking event. Tina, a local pastry shop, loves baking her pastries and bringing people happiness with her wonderful tasty and very artistic decorated cookies. She is running late to her networking event but really doesn’t worry. She believes in herself and knows she has the ability to attract others to her. A confident woman entrepreneur, sure that as soon as others talk with her they will be convinced to buy her pastries. Will potential customers remember herself or her business? Lisa is the owner of a small bakery which located downtown. She takes pride in her work, baking the best pies and doesn’t mind getting up early in the morning to ensure quality for her customers. She went to few networking events before. During these she experienced there was only a few seconds to give other business owners a good first impression before they moved on to the next person. She got herself a name badge, displaying her bakery logo, and her name. Thinking about what lets her business stand out, she also ordered brand new pie-shaped business cards with her contact information and her new slogan “Pies Your Grandma Would Love”. Both business women arrive at the same time at the networking event. They have never met before, but as Tina opened the door for Lisa she saw her name badge and said “I love pies”. Lisa notices Tina looking at her nameplate and responses “You should come in and try a free sample of all the wonderful pies we offer”. She then gives Tina her business card. Tina looks at it and comments “My grandma made the best apple pie”. Tina tells Lisa that she is a pastry baker. Lisa smiles, thanks her for the nice talk and moves on to meet the next person. Which one of these women entrepreneurs is more memorable? Which business will be easier for a customer to locate and recommend to friends or other business women about their conversation? Tina or Lisa? What Can You Learn From The “What Is SEO?” real life story? To reach your maximum potential quick and easy access to your online presence is a must. Search engines need this to keep your business at the top tier. In our story above, the name badge made it easy for Tina “to connect” with Lisa. If your site is not SEO friendly and accessible for search engines they will not recognize or connect with you. Search engines need to understand who you are and your business. The business card was Lisa’s tool so other people could immediately understand who she was. When you look at Tina, do you know who she is? No. You need to tell search engines by providing relevant high quality content who you are online and what you have to offer. Search engines will promote you by making your site, blog or social media activity visible in a search engine’s result page. Lisa created an opportunity for her by giving her business card to Tina. If Tina likes Lisa’s product or knows somebody else that would enjoy Lisa’s product, the chance is high that she will purchase from Lisa or recommend her. The same works for search engines. If you want to get promoted and be visible online you need to make sure you give others the opportunity to promote you and let the search engines know. This happens when your online content can be easily shared by others so they have the option to recommend back to you. This is only one of many stories I use in my SEO training and coaching classes to share with my students. If you want to learn more about how you can optimize your online presence, website, blog or social media appearance in a way that search engines recognize and promote you, check out my SEO Training offer. Dagmar Gatell is an internationally respected SEO consultant, coach and strategist. She is the founder of Global Empire SEO Consulting. She successfully guides entrepreneurs, subject matter experts, and businesses, by turning their expertise into successful global revenue generating businesses. Dagmar uses her expertise and instinct to create cutting-edge, targeted solutions to help you attract the right customers, convert leads and grow your business. Her SEO expertise is especially appreciated by her clients when creating demand and lead generating websites and online social presence. 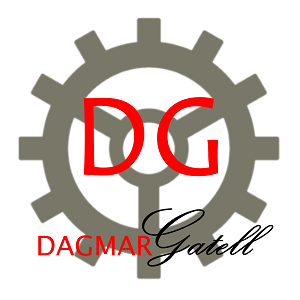 Dagmar’s purpose-lead SEO consulting and coaching will help you leverage your companies expertise by becoming the go-to expert/product in your industry.